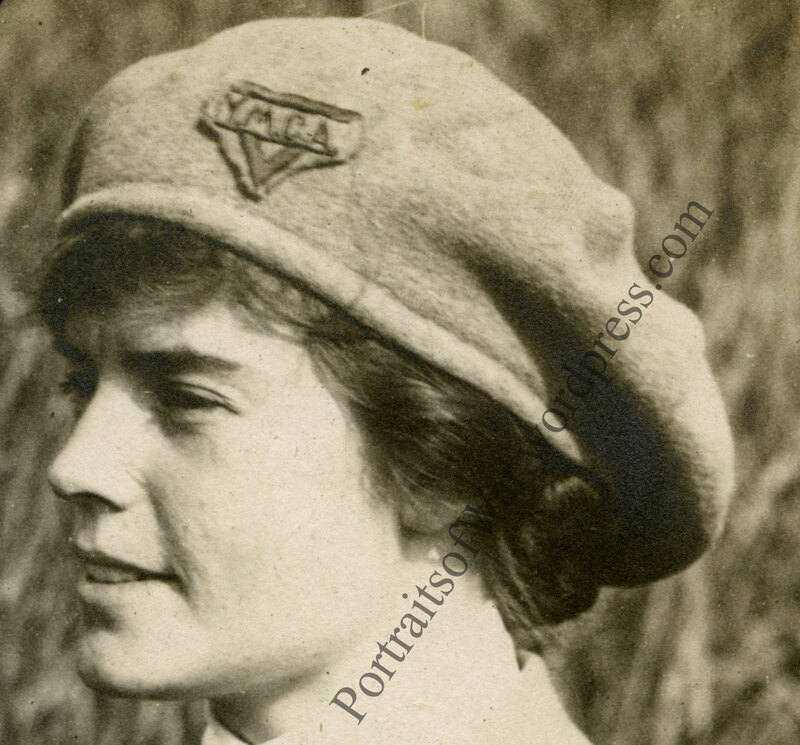 YMCA Ladies were sent overseas to help bring a glimmer of American home life into the trenches in France and Germany. YMCA workers were attached to specific divisions and were tasked with putting on events, providing comforts of home, and entertaining the US soldiers with music and reading material. Interestingly enough, female YMCA workers were only selected from a pool of women ranging in age from 25-45 with a few older exceptions. No women whose parents were born in an enemy country could serve and women who were British or Canadian could not be sent to France. The YMCA was often criticized for price gouging US soldiers when charging fees for cigarettes, shaving material and everyday odds and ends. 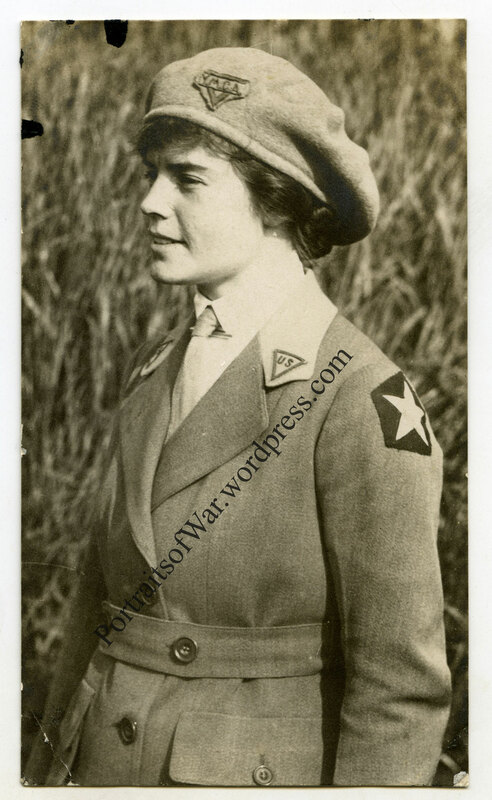 Through a collecting friend and author I was able to obtain a nice side profile shot of a YMCA woman associated with the 9th Infantry Regiment of the 2nd Division. The uniforms for the female YMCA workers was designed by Mrs. Theodore Roosevelt and was a gray-green in color with a French horizon-blue collar. The pair of US triangles on the upper collar lapel were embroidered in silk and sported red-edged details. This particular woman is wearing an incredibly rare beret stye hat with a felt YMCA patch attached.